Located just steps from Boston’s revitalized harbor front, even here in this urban studio I strive to work with respect for our natural world. I believe in handcrafting with the environment in mind, working from the finest quality materials available, with raw undyed fabric or greige goods thereby controlling the entire dye process, and working without waste, sometimes with quite limited resources. 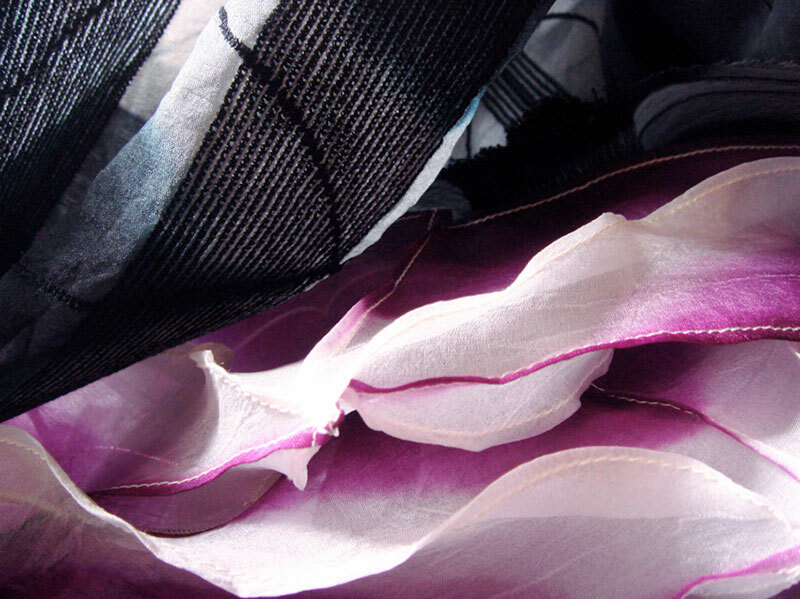 All textiles and garments are individually handcrafted and entirely made here in my Boston studio. My hands are a part of every piece. I consult with friends, who are also artists, and work with my assistant and a couple of part-time studio assistants who also have an incredible passion for cloth and have become an important part of my extended family. 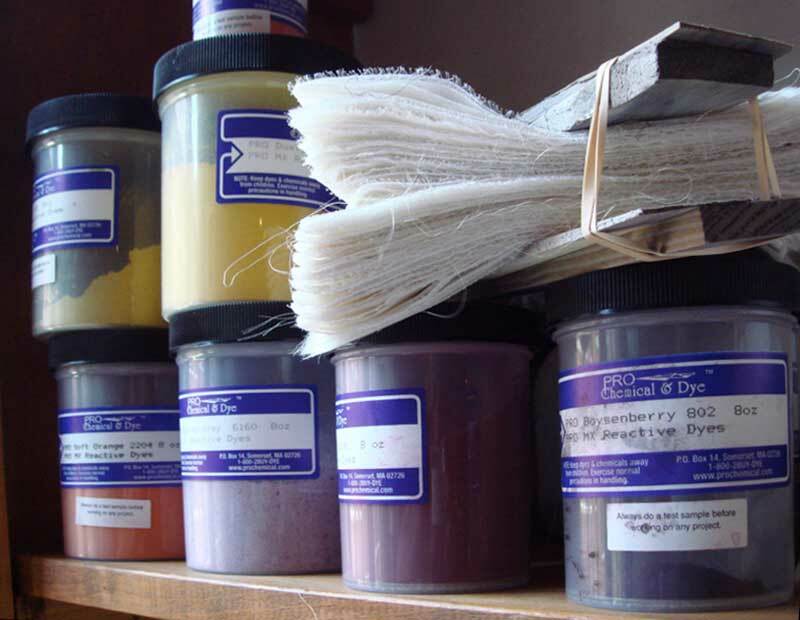 Ky often has his hands in a dye pot, patiently coaxing fabrics. 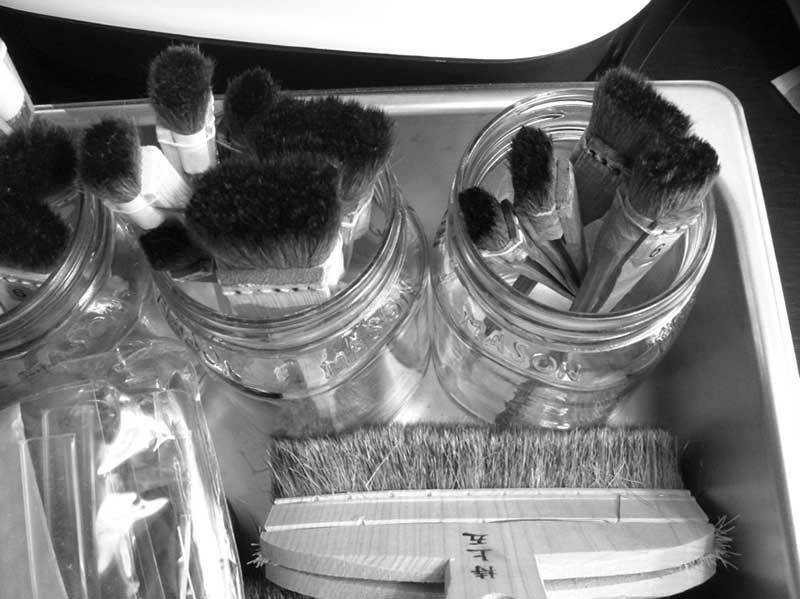 Occasional interns from Massachusetts College of Art and Design also contribute to the studio life. We are very much like a quilt, all different pieces coming together as a community connected by thread. I’ve always dreamed of this for my studio; to encourage independence, but also to instill a collaborative nature. We inspire and encourage each other. This community is necessary to the creation of such complex and labor-intensive textiles. 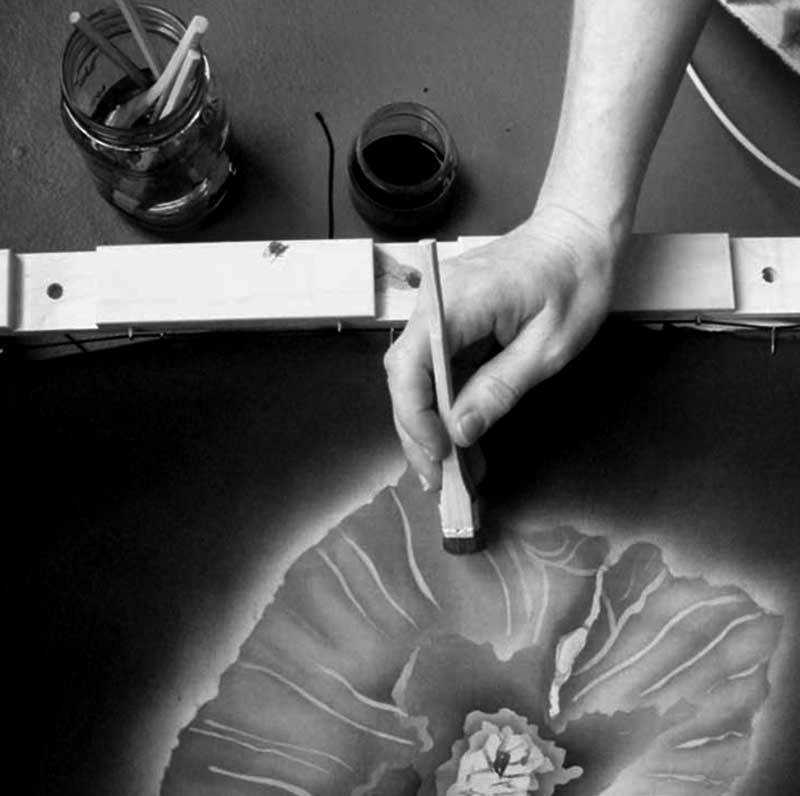 Each work may appear simple, yet involves many processes and layers involving technical skill and innovative ideas. Cloth is stitched and folded, colored with dyes, cut or torn apart, and stitched back together. 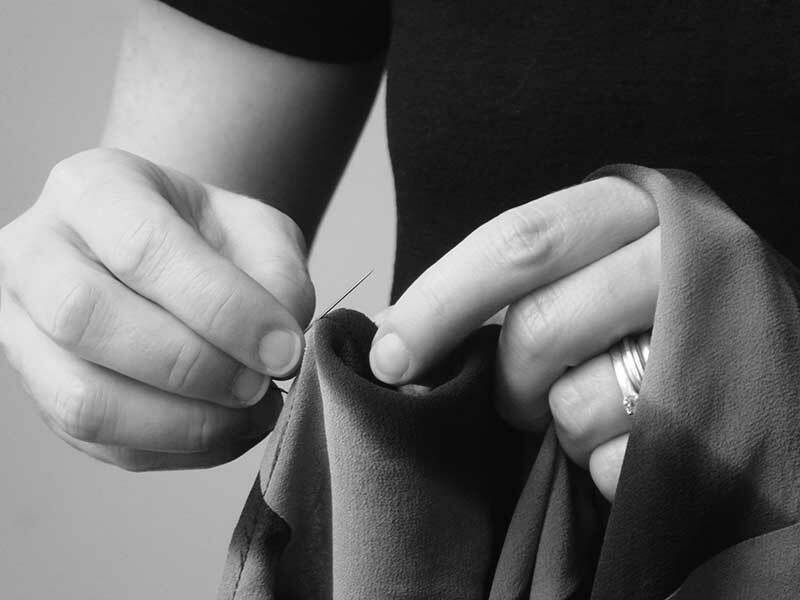 A final design is chosen, patterned or draped and then finished carefully. The inside of each piece matters as much as the outside. It is not a singularly dimensional piece. There is a soul. With one-of-a-kind, limited-edition, and custom work, there is something for everyone, from the art-lover and connoisseur of textiles to the individual who understands and appreciates that fine artwear is to be enjoyed in both daily life and for special occasions. Those who dress in artwear not only enhance themselves, but also support a rich cultural tradition that allows us to maintain a connection to our history as well as to each other. 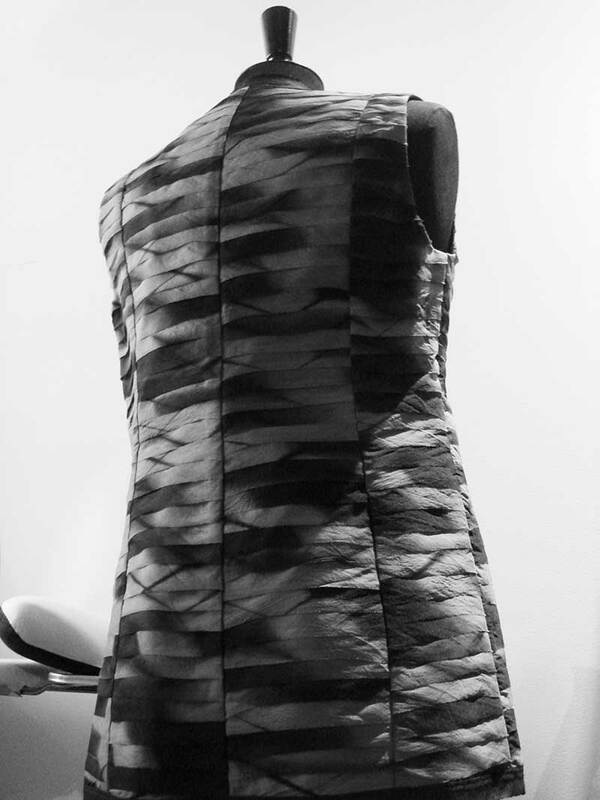 One sees in these pieces both human strength and fragility, and the more the wearer interacts with my textiles, the more the fabric will patina with age. I used to get upset when I would find a chip in a favorite piece of pottery. Now, with time, I understand that these give the piece character and I see the hand of those who’ve used the bowl. A worn cuff should be appreciated in a piece that’s been loved for a long time.